Insights provides actionable, on-demand data in an intuitive, streamlined, and easy-to-use platform that will help you identify where to take action. Trends throughout your program that may help you make changes to your program. For example, you may see a trend of more coupon code sites vs content creator sites. Being able to look at reports compared to another time frame. Previously, CJ reports didn’t allow an easy comparison. You had to look at one time period, record the numbers, then look at the next time period and record those numbers before comparing. Now, comparing time period is much easier. 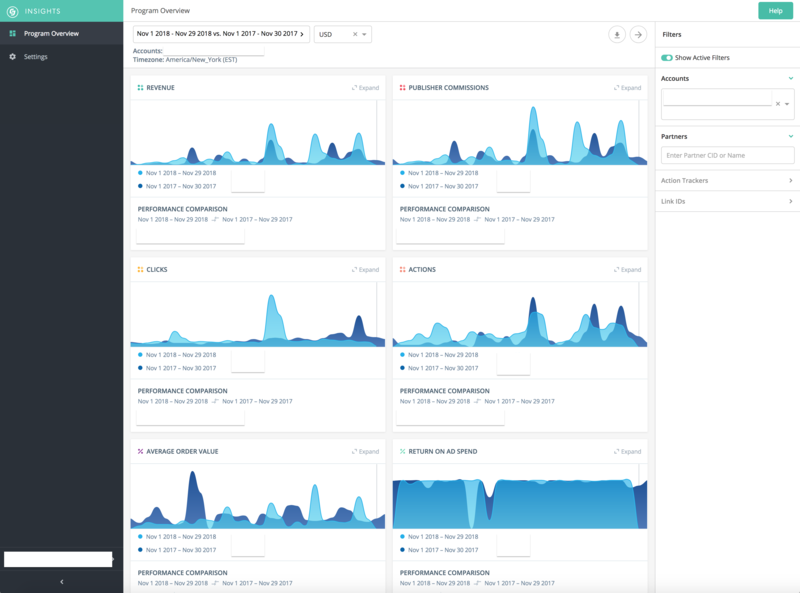 The CJ Insights tool is still new and is not the Holy Grail of data centers. However, CJ has stated that they are committed to this tool and will continue to roll out new features and enhancements. Let’s dive into how to use the Insights tool now. *Please note, your screen may look different. When you first log into your CJ dashboard, you can find the link to the Insights tool at the top of the toolbar. For now, it even has a nice, blue “New” image above it. Just simply click on the Insights link. At the top of the dashboard, you will find the date selection tool. This is where you can select the time period you want to view vs. the time period that you want to compare to. If you are running a monthly affiliate marketing dashboard report and need to compare the current month vs the previous month, this is a perfect place to do that. As mentioned above, these are the only reports and features available in the Insights report as of now, but they are already much more valuable than the basic reports within CJ’s current reporting tool in the dashboard. The Insights tool allows you to expand on each of the reports that were listed above. Simply click on the Expand button, and a daily graph will pop up along with the top 8-10 performing Partners, Links, and Websites. The expansion part of these reports is where you can really pull out granular data as opposed to just looking at the high level graphs to find trends. These reports are also exportable as a .csv file. The Insights tool from CJ can help your reporting (and therefore next plan of action) go to the next level. Being able to compare data easier allows you to find trends that can help you prepare for the next month or quarter. 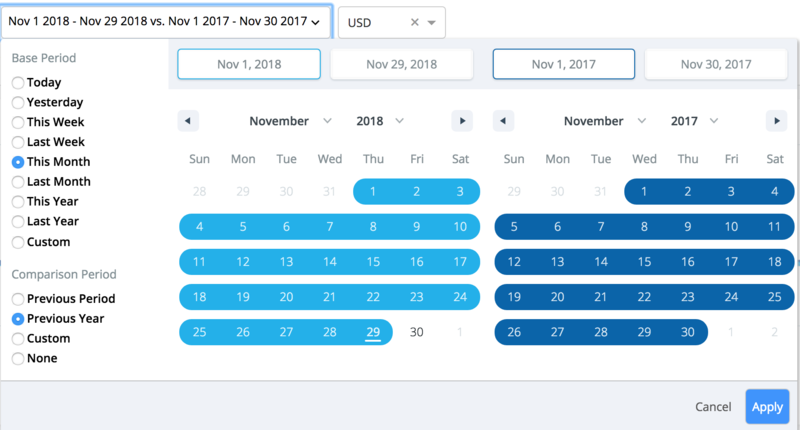 For example, it is much easier to find a trend in the Insights report on a specific day of the week that performs better, than it is with the reporting tool within the dashboard. With CJ’s new Insight tool, you are able to quickly compare your top performing links. 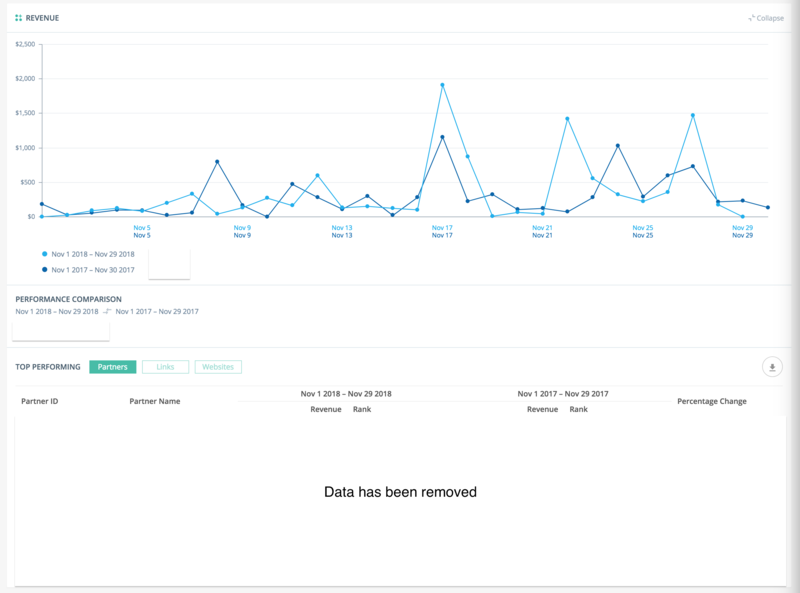 Sure, you could do this with the reporting tool in the dashboard (as we have mentioned this above multiple times), but you will save time by utilizing the Insights Tool. Let’s use an example of why this will be helpful for you. As the dedicated affiliate manager, you are working on sending out an affiliate newsletter and you would like to include the top 3-4 performing links. You could run a report over the last 90 days in the reports tool in the dashboard and just grab the 3 with the most sales, but that may be misleading. For example, one of those links may have had majority of it sales at the very beginning of the 3 month report period and since then has faded away and is not a top performer anymore. This could be because of seasonality, a sale/special that was ran, or a myriad of other reasons. By utilizing Insights, you can quickly compare two time periods and look at the numbers, as well as graphs to see which are your top performing links. With Insights, you will be able to compare two time periods and see an upward trend for a few links, telling you that those are the 3 links you should include in your newsletter to affiliates. Data is only powerful when used properly. Make sure to use this data properly. If you have any questions on how to use the CJ Insights tool or how to utilize the data that you see within the tool, than please contact us right away.